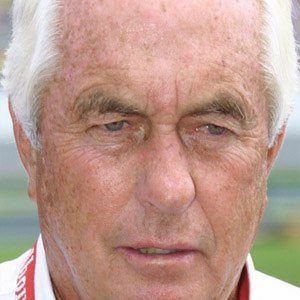 Race car driver and owner who is best known for founding and owning the extremely successful Team Penske. He was a very successful racer but had a short career as he decided to focus on building and owning racing teams. His Team Penske group won more than a dozen Indianapolis 500 races. He has two children with his first wife, Lisa, and three more with his second wife, Kathy. He has had racers such as NASCAR's Brad Keselowski on his teams.